Your wedding day will certainly be enjoyed by your guests! Delicious cuisine, festive entertainment, gorgeous décor; many details will bring your big day to life! However, know that you can add even more fun to your big day in a tasty way by presenting a dessert bar! Donut Bar. 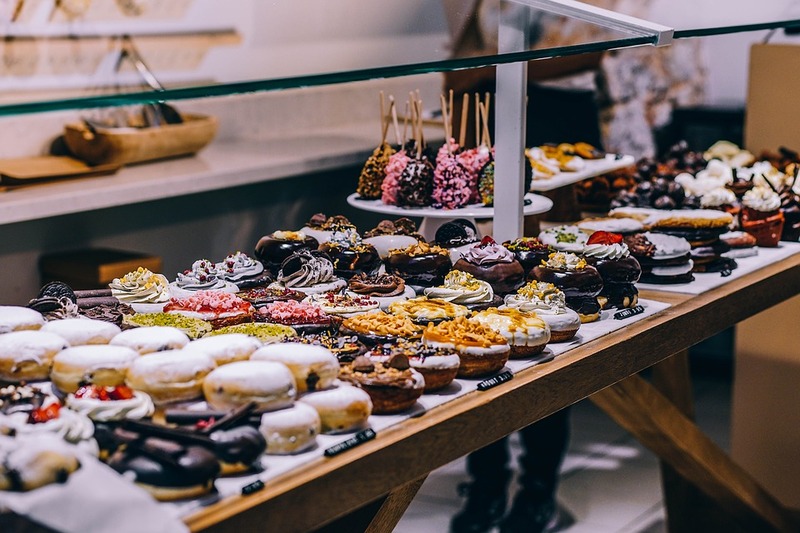 Glazed, powdered, cream-filled, fruit-filled; there are an array of donuts that you can showcase if you choose to create a donut bar for your big day! After all, who wouldn’t enjoy indulging in this breakfast classic at a wedding? Candy Bar. Add a dash of nostalgia to your nuptials by creating a candy bar! From gummies to chocolates and even hard candies, there are an array of options that you could choose to highlight. In addition, a candy bar poses as the perfect wedding favor, as guests can fill up goodie bags to take home with them. Pie Bar. By creating a pie bar for your wedding, you can add a homey appeal to your celebration. From slices to hand pies, and from fruit to cream fillings, you certainly won’t be at a loss of options for the array of pies that you could present throughout your pie bar! A tasty dessert bar is a must for your big day! These are just a few that you should consider for your own nuptials. If you are still seeking the perfect wedding venue in Columbus, Ohio to showcase your own dessert bar within, such as Maplewood Farm, please get in touch with us here at Engaged Columbus! We understand just how important it is to have the perfect setting for your wedding, and would be pleased with the opportunity to assist you with selecting yours.